I’ve never been the type to own more than 1 phone. I tried it before but I just couldn’t keep up. Lately though, I’ve been receiving “blessings”. And you know what they say about blessings, you should never say no to them haha! So here I am, with not just 1, but 3 mobile phones, all of which I’ve come to love so much! So let’s begin with the iPhone. I’ve always been the type to dress my phone up. Whenever I have a new phone, I’d buy a screen protector and case right away. Notice my MCM leather case? It’s really thin. 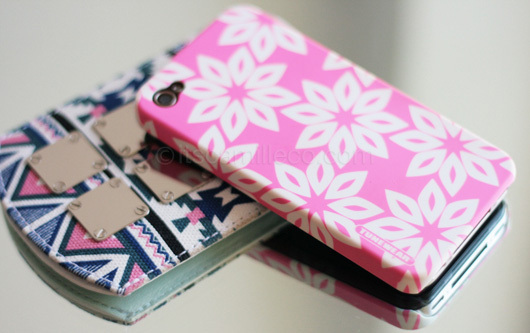 I think it was made for iPhones without external cases. Because of my love for my then new MCM case (spell atat), I decided to remove my old casing and go bare. As expected, my iPhone suffered. I’m the clumsiest person alive so I dropped my iPhone A LOT. Good thing only the screen protector got damaged. Needless to say, I needed an ultra slim iPhone case fast! But do you know how hard it is to find an ultra slim iPhone case that’s both sturdy and beautifully designed? Meet the Eggshell case for iPhone4 from Japanese brand, Tunewear. “EGGSHELL for iPhone 4 is Tunewear’s super sleek case, which is as light and thin as an eggshell but adds a layer of protection to iPhone without adding additional weight or bulk.” (FINALLY!) It’s made from durable polycarbonate material which makes it strong enough to protect iPhone from light bumps and scratches. Also, I just have to mention real quick how I love the case’s texture! There’s just something about it that makes me want to touch my iPhone all the time! Each Eggshell case comes with anti-glare screen protector, as well as a cable winder for your earphones that doubles as a stand for your iPhone. The cable winder attaches by suction cup to your iPhone. How cool! And, not to mention, convenient! Eggshell comes in plain colors and in another line called Finlandia. The Finlandia series is composed of seven patterns developed by Finnish born designer Juho Viitasalo, with each graphical pattern being an abstract representation of nature in Finland. For those interested, Tunewear is available at Powermac Center, The A Shop, iStudio and Switch. Visit Tunewear Philippin’ Facebook page here too. 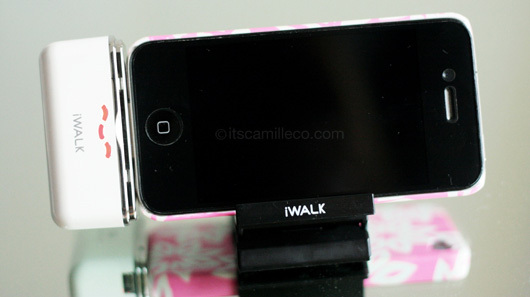 On to the next: Meet another accessory for the iPhone, the iWalk. From the name itself, I think it’s pretty obvious what this little gadget does. It’s a portable charger for the iPhone (and iPod). 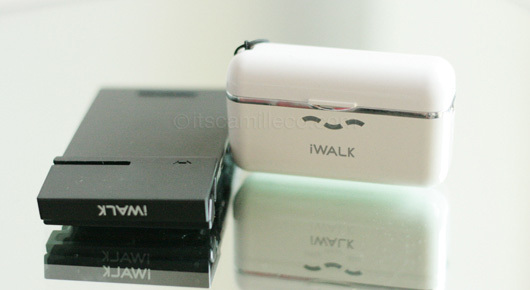 It lasts up to 500 full charges and has a LED battery life display for checking your iWALK’s battery status. You see that flat black thing beside the iWalk in the photo above? That little black thing turns into a stand! Quite clever! To know more about the iWALK, visit Veeka here. And last but not the least, my latest gadget thanks to Connect Agencie, the multi-touch, multi-tasking and multi-media SMART NETPHONE. It’s my first ever Android phone and I’m loving it! Notice how slim it is? It’s really light too! So what makes it special? Well, for one, it’s waaaaaaaay cheaper. It’s only P9,900 and it has all the features you need. 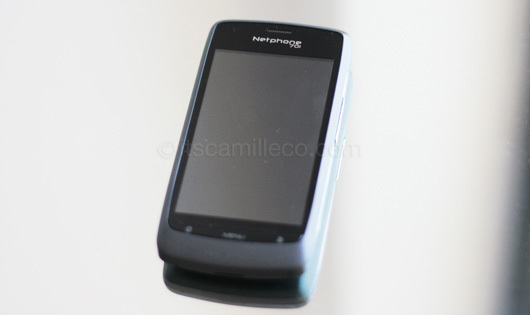 The Netphone runs on Android Froyo, the most popular OS for smartphones. The Froyo allows you to turn your Netphone into a hotspot and AND supports Flash 10.1, which means you can watch animations and videos on the web! Like the iPhone and Blackberry, you can also download apps for your Netphone. Usage of this phone is much more affordable too. All you need is to maintain O-N-E peso balance and you can already stay connected on Twitter and Facebook (through Social Stream), chat (with the Netphone’s own version of BBM called Netphone Messenger) and email! Additional charges will only be applied for internet browsing. That’s it! Another cool feature for the Netphone worth mentioning is its Global Directory. Adding contacts to your phonebook just became so much easier. Searching for friends’ contact info is now as easy as searching for them on Facebook! And you don’t have to worry about running out of space. The Netphone lets you store contacts on the web! So what’s the verdict? The Netphone is a good alternative to the iPhone and Blackberry. It’s very practical and it has all the features you need. Plus, its full integration with Smart lets you manage everything related to your SMART account in just one click. Here’s Smart Netphone’s super cute commercial to help you decide if you haven’t already! I hope you found my little techie blog post helpful!